The New York Musical Festival (NYMF) has launched 4 Broadway shows, including one that won the Pulitzer Prize for Drama (Next to Normal). The writers of LaLa Land produced at NYMF. From there, our goal is to launch a national educational tour of The Body Politic to high schools, colleges, and affected communities to raise awareness and foster meaningful dialogue around these issues, without judgement for either side. 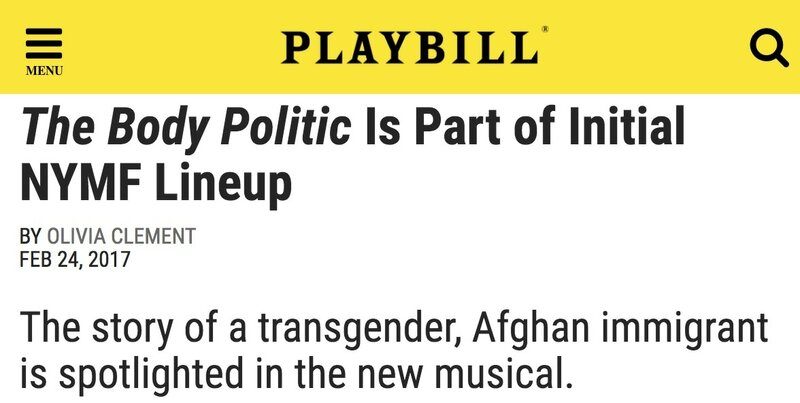 The Body Politic has received full 501(c)3 nonprofit fiscal sponsorship through the New York Musical Festival. ALL donations to this production are fully tax-deductible.